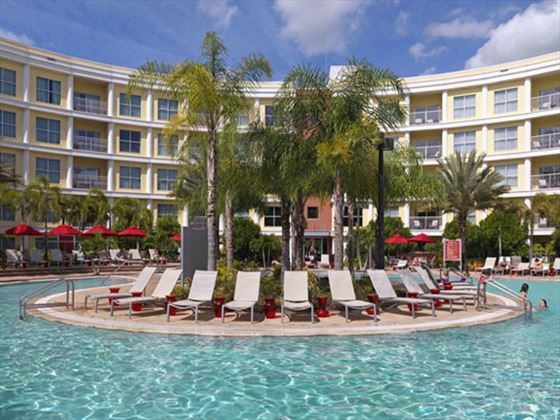 Sitting in the attractive town of Celebration, right at the edge of Walt Disney World Resort, Melia Orlando Suite Hotel at Celebration offers a relaxed place to stay in easy reach of the theme parks and other attractions. This an all-suite hotel offering a home-from-home experience with a fully-equipped kitchen in every accommodation as well as large bedrooms and living areas. Make use of the excellent facilities including the large pool and fitness centre, and take complimentary shuttles to the attractions nearby. The hotel sits virtually next door to Walt Disney World Resort and also puts you within easy travelling distance of SeaWorld and Universal Studios. 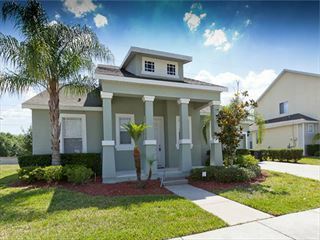 You’re also close to the shops, restaurants and bars of downtown Orlando. Prices correct as at 6pm on 19 Apr 2019. Please call for final price. Prices are per person based on 2 adults & 2 children sharing. Other durations available - call for quote. Prices include flight and accommodation as stated below and car hire including Dollar rent-a-car's 'fully inclusive' insurance package. For more car hire options please ask your travel expert. For the purposes of the prices above, children are assumed aged 11 and under. Teen prices also available. 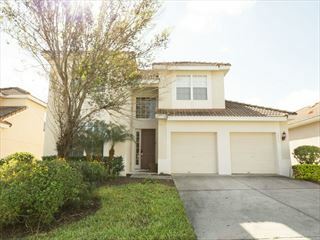 These homes feature air-conditioning, a private pool and are located in various neighbourhoods around the Disney Area. 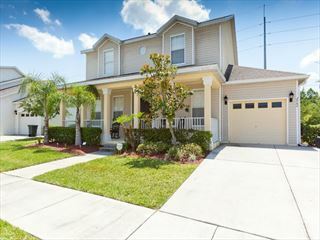 These villas are a good value base from which to enjoy your Orlando experience, and will provide a relaxing haven after a day in the theme parks. Windsor Hills Resort has a fantastic location just two miles from WALT DISNEY WORLD Resort and close to Orlando’s other main attractions, such as Universal Orlando® Resort and SeaWorld® Orlando, making this resort popular with tourists.